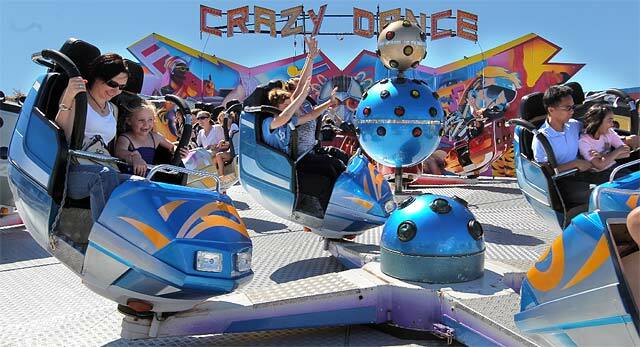 On the weekend, my partner and I went to the Royal Hobart Regatta, which includes a few water-focused attractions, but primarily exists as a series of carnival rides, sideshow games, and food stalls. Nevertheless, Hobartians are afforded a public holiday in the Regatta’s honour, and since the sun was shining we decided to walk my dog Ahab down there (where I popped a handful of balloons with a dart and won a fluffy toy, which Ahab—with an immediate thrill—recognised as a gift). I didn’t expect to encounter any vegan food there, and we only intended to visit quickly, so I decided I’d just have lunch when I got back home. However, once we arrived I was delighted to spot a van advertising both vegetarian and vegan tacos. To find such an offering felt like a small coup; I made sure I grabbed one of those vegan tacos on the way out—and very fresh, delicious, and challengingly spicy it was too. Nor was I the only purchaser: the operators had three more vegan tacos poised to go. At a carnival, surrounded by corndog and fairy floss vendors, vegan food was being served—and selling. Ten years ago, I seriously doubt whether the young person serving would have known what a vegan was. Moments like these are satisfying because they bring to attention that for an increasing number of people eating is an act invested with moral significance. More and more people are bothering to consider where their food comes from, how much it suffered when it was an animal, and whether the mere taste of something is worth an animal’s suffering or being killed at all. Yet to watch the Seven Network’s My Kitchen Rules is to be transported to an earlier time—one almost Medieval in its emphasis on varieties of animal flesh, and on animals as not more than mere ingredients. Let’s bear in mind that a 2009 survey indicated that 7% of the Australian population identified as vegetarian (5%) or vegan (2%). In addition to vegan food now being served by carnival vendors, there are several reasons to suspect that this figure has increased since 2009 (e.g. the growth and large-scale campaigns of Australian anti-cruelty alliance Animals Australia; the emergence of a majority consumer-preference for cage-free eggs and other products with a higher welfare value). 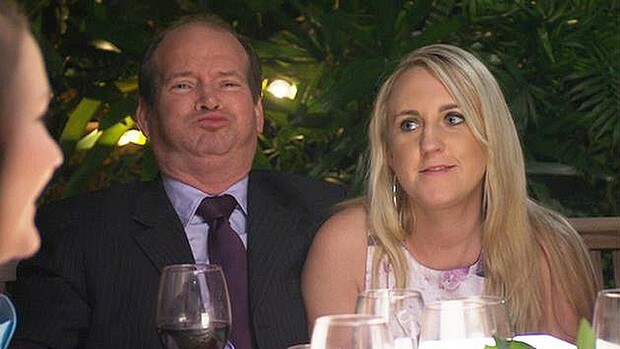 Yet any vegetarian or vegan viewer of My Kitchen Rules is struck hard by how thoroughly the show excludes all ethical comment on meat and dairy consumption. Veal is a perennial favourite on MKR, as it is on rival Network Ten’s hit cooking show Masterchef. Both Masterchef and MKR do not address, critique, respectfully (or even disrespectfully) disagree with cruelty-free diets; they enforce the dominant ideology of meat-eating by pretending that they do not exist at all. The purpose that products of animal death are put to on My Kitchen Rules and Masterchef is transparently frivolous—is purely recreational: this is sport-cooking. Consequently, it is in the show’s interest to exclude totally any questions of whether it is ethical to eat meat as a general matter, and to broadly disacknowledge that such questioners exist within the general public. In Animal Liberation, Peter Singer described the process of indoctrination through which budding scientists were inured to the ethical problems raised by animal testing. Students’ success and certification depended on their learning to regard animals as replaceable laboratory equipment (equipment that was in many cases purchased from the same catalogues and suppliers as non-sentient items like clamps and scalpels). For the scientists described by Singer, ethical questions were not fundamental to animal use but an irrelevant and irrational (and thus ‘unscientific’) interference in scientific progress. The use of animals clearly differs in the case of My Kitchen Rules: living animals are not tortured by MKR contestants the way they are tortured by the scientists Singer mentions. However, MKR, like Masterchef, subjects contestants and viewers alike to a culinary culture in which ethical questions are similarly irrelevant. The animals concerned are ‘ingredients’ and do not warrant ethical contemplation. Historically, many scientists and students who have opposed animals’ treatment as ‘equipment’ have found their professional and educational opportunities blocked. Willingness to disregard animal suffering is constructed as an inherent and non-negotiable sign of one’s ability and identity as a ‘serious’ scientist. Similarly, the deliberate disregard for cruelty-free diets in MKR and Masterchef perpetuates a culinary ideology in which ethical objections prevent one from being a ‘serious’ chef. Consequently, the show perpetuates the myth that vegetarianism or veganism is ‘anti-culinary’ in its exclusion of particular, ‘important’ ingredients, and that vegetarian/vegan cooking has marginal culinary, artistic, or labour value. 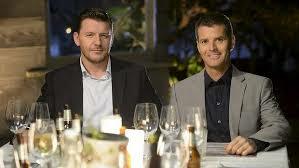 Harry and Christo of Seven’s My Kitchen Rules. Much to the judges’ and their own disappointment, they mucked up the veal dish. Their clumsiness attained the status of moral breach; the use of veal per se, however, escaped all question. MKR presents a domain in which meat operates as a signifier of many things. It may signify class belonging, due to a particular meat’s expensiveness or cooking difficulty; labour or artistry, through a delicate balancing of flavours and textures; familial bonds or affections, through recipes bestowed and inherited; it may signify national or ethnic belonging, or operate as a signifier of friendship between contestants. Yet it never signifies what it most nakedly is: the flesh of a once-living creature, and an artifact of slaughter. In this totalising and certainly deliberate disacknowledgement of meat’s origin, MKR constructs a kind of consumer fairyland, located in an ethical vacuum—a simulated reality in which eating animals raises no more ethical question than shooting someone in a videogame. Contestants (and viewers) are invited to ‘play’ with it to the fullest extent—to revel in its variety, smells, tastes, textures, to take an almost hysterically bourgeois interest in its presentation. Here is food as an artistic medium seemingly without material origin. 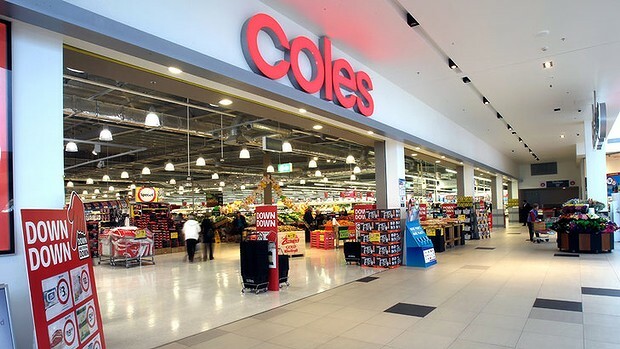 But, crucially, it does have an origin: it comes from sponsor and supermarket monopolist Coles, who flood the show’s breaks with advertisements for the products utilised by contestants. And here of course lies the reason for the veritable matrix of normative consumer-behavior the show constructs. In the world of MKR, the animals killed for meat-products are non-existent; they are ‘absent referents,’ as Carol Adams famously described the animals we eat. Absent also is the farming, transport, stocking, and scientific labour involved in food production. Instead, food is the fresh and seemingly ‘magical’ production of the supermarket giant. Clearly, contrasting ethical positions are deliberately disregarded because of the sponsor’s desire to profit from the sale of animal products. Yet the show’s ‘reality’ format makes especially insidious its manufacturing of a cultural and consumer landscape bereft of all ethical questioning and protest. Adams, Carol J. The Sexual Politics of Meat: A Feminist-Vegetarian Critical Theory. 1990. Continuum, 2010. Singer, Peter. Animal Liberation. 1975. London: Pimlico, 1995. 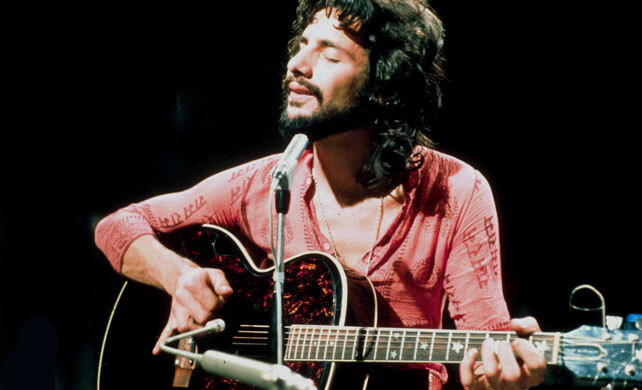 Everyone knows Cat Stevens’s “Father and Son,” perhaps the most celebrated track from his 1970 album Tea for the Tillerman. 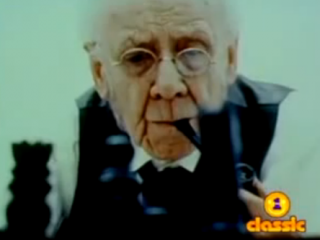 As its title suggests, the song takes the form of a conversation between a father and son: the former promotes security, normalcy, serenity in convention; the son yearns to venture out into the world, thereby finding his true self in a manner that recalls Robert Frost’s poem “Into My Own.” However, we note that much of the song’s sadness comes from the fact that generational difference serves as a barrier to true communication between the two; the son does not address the father directly (“How can I try to explain? / When I do he turns away again”). 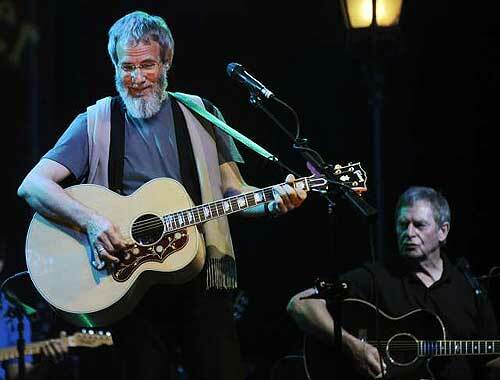 Cat Stevens performs the vocals for both father and son, slightly elevating his pitch to distinguish the son’s dialogue. At this point it may be worthwhile revisiting the song (youtube). What I want to briefly suggest is that the song becomes more interesting and in many ways more poignant if we consider the possibility that both of these voices (both of which are sung by Stevens after all) belong to the father. In this interpretation the father’s mention of “going away” refers to his eventual death, and the endpoint of his strained communication with his son. Yet if we do not at this point consciously attune ourselves to a rebuttal, decide to mark a transition—if we imagine the father’s voice simply continuing—then we hear an internal monologue that swells excruciatingly beyond the calm persona he has thus far projected for himself. “How can I try to explain? / when I do he turns away again” becomes the tragic lament of the father held at a distance, constrained by his own patient composure, by his insistence on maintaining his unapproachable and old-fashioned style of parenting. Stevens continues: “From the moment I could talk, I was ordered to listen now / There’s a way, and I know, I have to go away.” In the usual interpretation these lines describe the son’s standard feelings of frustration and marginalization, his desire to free himself from the overbearing influence of family. More interesting however, is the idea that the first line is not the son’s recollection of his repressive upbringing, but the father’s. Reflecting on his own youth, the father recalls his routine subordination with a mixture of pride and regret: “From the moment I could talk, I was ordered to listen.” One might say that having been raised to accept an essentially passive role within a deeply codified society, the father in turn promotes this life to his son, encouraging him to embrace it as the norm. Continuing this idea, after the song’s acoustic interlude the father’s internal voice diverges further from the placidity of the one the son actually hears. Here the song reaches its most tragic point. Beneath the father’s stoic paternalism, his fulfillment of his routine patriarchal role and patient observance of consensus, is a man utterly stifled: “All the times that I’ve cried / Keeping all the things I knew inside / it’s hard, but it’s harder to ignore it / If they were right, I’d agree / But it’s them they know, not me.” Even in the usual interpretation of this song, precisely who ‘they’ are here remains somewhat obscure—fathers? parents? (if he is referring to his father, why not “him?”—”he?”). Yet what if we take it as the abstract ‘they’ it appears to be? . . . An indeterminate, faceless but powerful They, a cultural chorus of consensus, propriety, dominant masculinity—whatever. At the same time as the father advocates convention, serenity, and the satisfaction of fulfilling predetermined roles, internally he veritably weeps for his own emotional repression. Not every aspect of this explanation makes the kind of very straightforward logical sense of the dominant one, yet I feel this is also its virtue. If we see the song as illustrating tension between unexpressed internal desires and externally prescribed roles, the idea that aspects of that illustration remain incoherent, frustrated, uncertain, seems appropriate—even poignant. “You will still be here tomorrow, but your dreams may not”: it is difficult to reconcile this line with the song’s conventional interpretation. The son is seeking to follow his dreams, so why would the father warn against their vanishing? We can of course draw the grimmer inference that the father is in fact encouraging his son to relinquish his dreams, as in:”If you live your life, according to the rules, your dreams will naturally dissipate.” This seems to make the most sense, although its expression is so unpersuasive (indeed, so grim) that it can only bespeak a deep and tragic bitterness within the father. Consequently, interpreting the the voice that immediately follows as the older man’s commentary on his own outwardly sensible yet deeply dissatisfying assurances seems especially fitting. 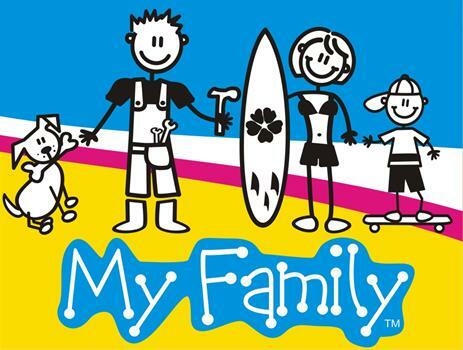 It has been impossible ignore the rise of ‘My Family’ stickers in Australia: cutesy, chalk-like stick portraits of mum, dad, and the kids, perhaps a dog or two, slapped to the rear of at first conspicuously ‘family’ cars (Taragos, Odysseys, etc.) but now all manner of vehicles. Part of the appeal of these stickers (available from local newsagencies) is meant to be their sheer diversity and capacity for personalization: as one purchases each stick-person separately, all manner of combinations are possible. Not only can one select a dad playing golf, barbecuing or wielding a power drill, but any combination of family members: two, one or no mums; ten kids or zero. However, with queasy inevitability, the family portraits one sees are almost invariably nuclear, and the stickers have been adopted as a self-satisfied badge of heternormative, middle-class nuclear pride. 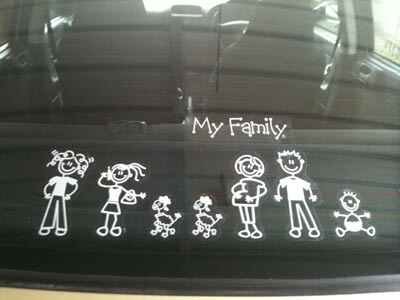 In these stickers we see unselfconsciously displayed the driver’s immense satisfaction at having hit the jackpot of cultural ‘normality’—wife, husband, two or three or more kids, dog, cat, white picket fence. One does not see single-mother or father families, nor families without children. The stickers are the almost exclusive domain of those who must announce that not only have they observed to the letter the scripts of the dominant ideology, but observed a kind of retrograde fantasy of it (a romanticization of domesticity reminiscent of the post-war years). The stickers have been subject to a recent backlash, however, expressed most pointedly in parody stickers that announce “f*@! 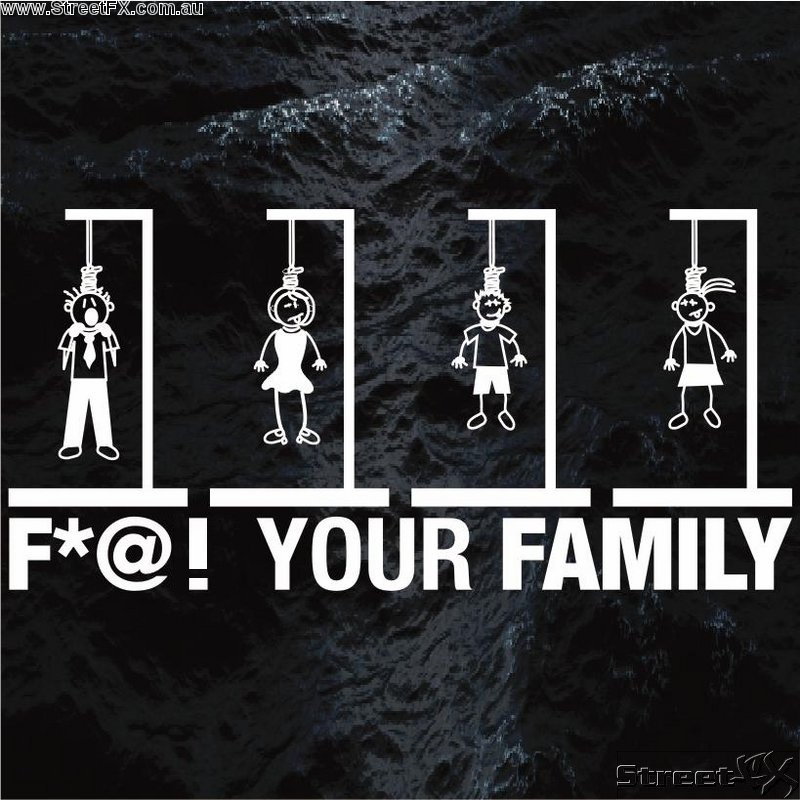 your family” or, less pointedly, announce as the driver’s ‘family’ a cheekily lone individual. It’s easy to understand the irritation leveled at the original stickers’ outdated expectations, at the triumphant normality of those who display them, and at their repressive restamping of desirability and ‘normality’ itself. *Readers are advised the following concerns the show’s Australian 2012 incarnation. The Biggest Loser is over for another year—and it was difficult to not be charmed by the triumph of bashful grouch Margie, who provided much of the show’s humour: in her tantrums against her trainer and regime; her self-deprecating humour; her refusal to dilute her personality in social niceties like many of her peers; and in the show’s embarrassing failure to observe her sexuality in a mock-dating segment early on. Yes, the theme was ‘singles,’ this time around, with a focus on readying contestants for the love from which their weight had apparently disqualified them. The Biggest Loser, like Extreme Makeover or Queer Eye for the Straight Guy, is in the business of policing deviant appearances, and dramatizing the urgency and fundamental goodness of that policing. However, part of that dramatization is of course dressing it up. This season, that policing was rephrased as defense against the threat of deep, social and personal exclusion (as the ‘singles’ theme indicates): contestants simply could not live fulfilling lives because of their weight. Or so we’re led to understand. Locating deficiency solely within its contestants, The Biggest Loser never even entertains the notion that society’s expectations of individuals are not empirical, immovable, and infallible. From the show’s perspective, if a contestant had ‘never been kissed’ because of their weight (as at least two had not), this was an understandable (and, actually, condoned) disqualification. They had the power to fix it. It was not worth considering that this shouldn’t disqualify someone from being kissed, at all—nor indeed from kissing someone. Desire for social (and, through this, personal) acceptance is a crucial motivator in The Biggest Loser; however, it is always the individual who must transform, totally, to bring this about. With self-righteous urgency, the disciplining of unacceptable bodies also wears the altruistic mask of ‘serious health concern.’ Now, many of the people on this show are overweight to an extent that puts them in real danger, and it is difficult to take issue with their avoidance of early death. Similarly, I am not denying that this show has an emotionally transformative effect on those who participate in it. What I am getting at is the somewhat cute assumption that what its producers seek to create primarily, and what its audience are primarily moved by, is deep investment in these transformations, in the revelation of inner potential—or in the warding off of diabetes and heart attacks. The show’s medical concerns are undermined by its more conspicuous fascination with exposed blubber, with rituals of humiliating bodily exposure. Moreover, it takes little imagination to consider those contestants who must have been rejected from the show in its initial intake for being too overweight, too far gone. Behind The Biggest Loser that we see must slump those who were more medically urgent, yet could not usefully reinforce the show’s ideology of magical rebirth and integration into the status quo (for more on this see Fiona Whittington-Walsh’s essay, “Beautiful Ever After”). Where we are gripped by a contestant’s emotional transformations, their ‘journey’ (as the show unceasingly puts it), we have also to consider to what extent our joy is, again, the joy of normalcy, of new acceptance. Are we actually celebrating the achievement of a dream that one, of any size, should not have to ‘dream’ in the first place? 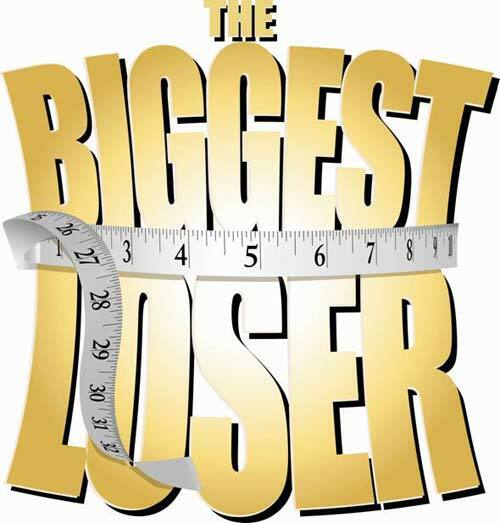 I’ve argued that in the appeal of The Biggest Loser is a desire for social conformity, for the policing of ‘abnormality,’ for the correction of that which seems to challenge the status quo. What these very large bodies (humiliatingly paraded at various junctures prior to their transformation) troublingly suggest is not some mere visual affront (the offensiveness of ‘fat’), but a more disturbing denial of the social norms in which the rest of us are painstakingly expert, and through which we measure and understand ourselves. 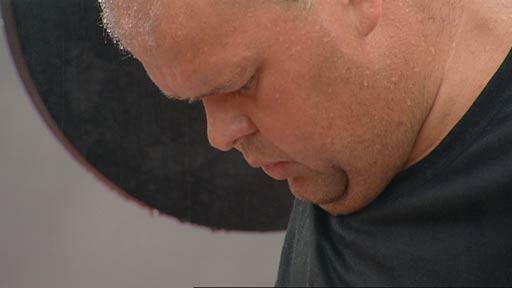 In the revelation of shirtless contestants—fat obscenely cascading the length of their bodies—is not simply an eyesore. Shockingly evoked is also the idea that one could possibly live without observing the codes and conventions surrounding physical appearance the rest of us take so seriously. Within any culture, a level of difference between people is expected and desired, however only within the parameters of what that culture finds acceptable. René Girard writes that “Difference that exists outside the system is terrifying because it reveals the truth of the system, its relativity, its fragility, and its mortality” (The Scapegoat 21). For Girard this dynamic is most easily exemplified in the case of physical disabilities, which can challenge with their “impression of a disturbing dynamism” (21) an otherwise stabilized and accepted system of physical differences. Similarly, the ‘obscenely’ overweight is so perhaps because it challenges the individuality we cultivate and believe we have achieved within the rules—achieved while actually rigorously observing society’s every standard, especially those relating to how others perceive us. According to Girard, each of us values ourselves as somehow ‘different’ from those around us. Yet what we see here is difference on a scale that upheaves the very coordinates of that difference, of our difference. Extreme difference, I’m arguing, tends to uncomfortably highlight, to even insult, our total and unquestioning adherence to social norms—tends to suggest to us that we’re not different or individual, at all. 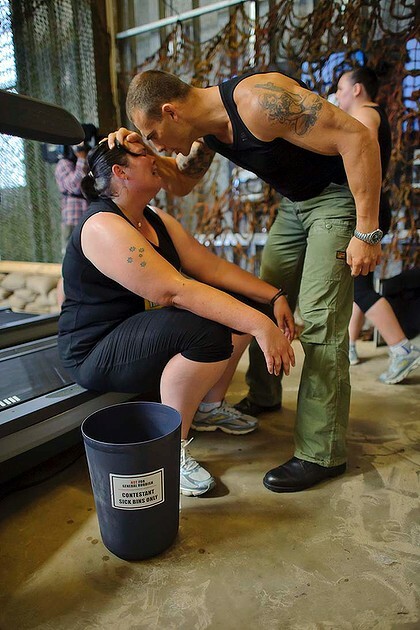 Following this, encouraged in the viewer of The Biggest Loser is, surely, an almost aggressive desire to see normative codes of appearance and behaviour reinforced and revalued, to see awakened in contestants a ‘necessary’ self-discipline. In this we also see a reflection of the fascist ethos. The trainer “Commando,” an unsmiling military-themed character in combat boots and camouflage who runs fitness programs like R. Lee Ermey in Kubrick’s Full Metal Jacket (1987), clearly illustrates this connection. One might easily argue that behind the most rigorous fitness routines lies a kind of fascist idealism—a preoccupation with strength and endurance, with self-denial and discipline (leading frequently to a desire for self-discipline in others, or revulsion at its absence). Through Commando this tendency is utterly undisguised—even glamorized. Whatever the case, the barking soldier was a useful enforcer of a broader cultural desire for physical conformity, for machination, for the regulation of difference outside the system. And he was so because of the affinity that the broader status quo shares with the fascist mentality when it comes to policing these disgusting bodies. Much more positively, with the show’s intense focus on social acceptance, particularly that proven by romantic (heterosexual) coupling, it was heartening to see no-frills lesbian Margie come out on top, and the show come to terms with her sexuality along the way (a revised dating segment allowed her female suitors). In Margie’s victory one could celebrate someone fitting in, finding acceptance, and learning to love herself—however not quite in the ideologically homogenized way the show seemed most keen on. Girard, René. The Scapegoat. Trans. Yvonne Freccero. Baltimore: Johns Hopkins UP, 1986. 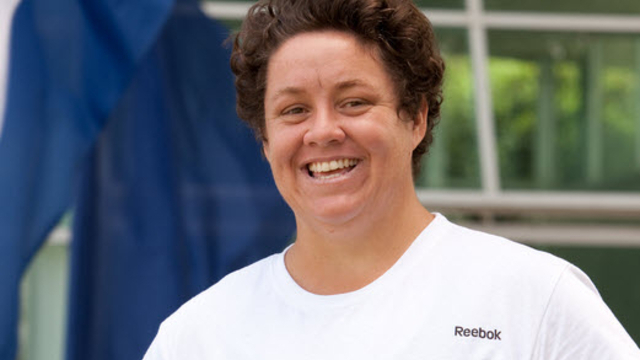 Whittington-Walsh, Fiona. “Beautiful Ever After: ‘Extreme Makeover’ and the Magical, Mythical Spectacle of Rebirth.” Popping Culture, 6th ed. Eds. Murray Pomerance and John Sakeris. Boston: Pearson, 2010. 179-190. Note: First-time viewers are advised that the following makes details of the film’s plot explicit. 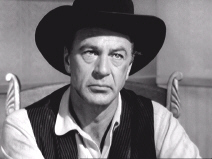 Much reviled by John Wayne, who felt its focus on a man’s abandonment by the community around him was a metaphor for McCarthyism, Fred Zinnemann’s otherwise celebrated film High Noon sees Marshal Will Kane (Gary Cooper) hanging up his guns as a lawman and leaving town with his new bride, Amy (Grace Kelly), to open a store. As the deal is sealed, however, he hears word that scum-of-the-earth criminal Frank Miller, a man who has sworn vengeance against him, has been pardoned and is due to arrive on the noon train. 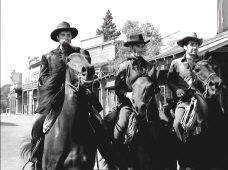 Once reunited with his gang of three cutthroats at the station, Miller intends to ride into town and gun Kane down. Retired, and intending to leave anyway, Kane rides out with his wife, only to turn back, at Kane’s insistence, so that he can face his aggressors. Abandoned by his impudent deputy, Harvey (Lloyd Bridges), however, and unable to deputize the cowardly townsfolk, it looks as if he must face the Millers alone. As if this wasn’t trouble enough, Kane’s decision to stand his ground drives a wedge between him and his Quaker wife. Not wanting to wait an hour to find out whether she’ll be a widow, pacifist Amy threatens to leave Kane if he faces the bandits. Despite his 1952 best actor win, Cooper’s characterization of Will Kane is beaten out in broad strokes. A few serious lines are either paced too bluntly, or delivered with melodramatic breaks in eye-contact and side-to-side glances. This is not all Cooper’s doing though; the actor’s relationship to the camera, generally, does not seem to have been adequately worked out, and the occasional close-up unduly exaggerates his gestures. His character’s initial introduction, prior to news of the Miller gang’s impending arrival, also seems misjudged. Confronted with the same blinky, moist-eyed act he perpetuates throughout the film, we are unsure as to why Kane should seem so visibly discomforted at this point in the story (particularly as he marries a Grace Kelly less than half his age). 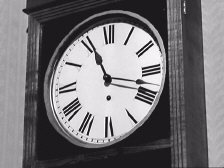 High Noon’s narrative unfolds in almost real-time as the fatal hour creeps closer, and the now-iconic shots of the clock seem to expand each moment, investing it with urgency. The film’s editing is for the most part carefully handled and highly effective: a wonderful pulse-thudding montage startles us with the dread of the situation when the hour is finally struck. The opening scenes make good use of energetic and creative cinematography to perpetually reinsert the viewer into the thrust of the narrative. The film is, however, somewhat let down by the intrusive repetition of its theme-tune, which undermines the subtleties of particular scenes by explicitly cataloging basic events in the plot. The effective use of cross-cutting easily sustains High Noon’s real-time trajectory and helps make us feel this town is a real location with a temporal life of its own. It is at the level of attributing real character to its townsfolk, however, that the film falters and allows us to question its thematic agenda. The townspeople’s attitudes toward Miller’s gang are so inconsistent it seems implausible that they should, ultimately, behave so uniformly. These people are purposely intended to make life difficult for our hero, rather than acting of their own accord in such a way that would allow this situation to arise naturally. As the gang rides into town, people scurry in fear; one woman sanctifies the space through which they pass with a sign of the cross. Clearly these men are devils incarnate. Later, however, a hotelier admits a fondness for the Millers, whose presence made his business more profitable. The same goes for the bartender, whose patrons also liked having the Millers around, so much so that, prior to Frank Miller’s arrival, his brother rides in to town for a drink with his old friends. Despite this, when Kane attempts to raise a posse in the same bar the reason for the men’s reluctance is inexplicably given as their fear of being outnumbered, rather than that they are unwilling. In this way, the film seems to adjust the characterization of the Millers and the townsfolk’s attitude to them to suit its moral and emotional purpose, ensuring the villains are greatly feared while having everyone still effectively end up on their side. This episode makes the townspeople’s collective failure to act seem unnaturally unanimous—a device for increasing Cooper’s isolation, inflating his bravery and sustaining this trial of his manhood. The problem with this is that while High Noon surely purports to demonstrate how a group of people can be murderous through their very passivity, it never convincing portrays group psychology at all. The scenario it presents is a priori contrived to morally endorse a masculine ideal of independence and bravery. At the same time, one suspects the film uses Cooper’s visible moments of self-doubt to assure the viewer that because this isn’t a pretty situation what they are cheering for cannot be mere egotism and pride. And if it isn’t egotism, it is something odorously close to it. 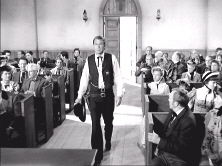 As he famously attempts to raise a posse in the church, Kane is advised to leave town because it is his presence alone that ensures trouble. Anyway, the church-goers argue, when the new Marshal arrives, he will have the community’s full support should trouble eventuate. The film, of course, intends for us to frown on this position, and uses it to reinforce Kane’s pitiful isolation (and thus our sympathy for and identification with him). However, because the story consistently declines to clarify whether leaving would not indeed cancel the threat of violence to Amy and himself (a subject of dispute from early in the film), we cannot see that his insistence on staying is more than a matter of pride. The film’s music also seems to emphasize foremost damage to one’s own ego and reputation, with its fear that the protagonist will “lie a coward, a craven coward—lie a co-ward in [his] grave.” Despite what Kane might do, then, High Noon is insistent that some problems must be solved through violent force and, without due explanation, that this is one of them. The construction of the bad guys is just as targeted toward testing Kane’s manhood: hardly real characters, they ride into the town as if possessed, accompanied by ominous musical themes to assure us of their inexorable badness. The problem they pose seems speculative—a worst-case scenario—rather than realistic, because the challenge to Cooper’s masculinity they bring about is what the film really wishes to focus on. An interesting variation in their appearance concerns Ben Miller (Sheb Wooley), who observes Amy from a distance as she visits the train station with an approving “Hey, that wasn’t here five years ago.” The handsome Ben shows none of the roiling antagonism and scrunched features of his fellow gang-members, and the pleasure he takes in seeing Amy seems to threaten Kane with cuckoldry more than violence: there is more to this conflict than the basic narrative admits. 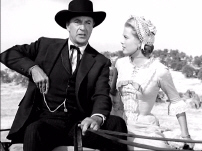 High Noon’s problematic politics are most immediately enacted through the relationship between Kane and Amy, and one of the film’s more dissatisfying moves is the arrogant dismissal of the latter’s position on the conflict in which she and her husband are embroiled (that they should leave town as originally planned and avoid the confrontation). At one point in the film, Amy gets it into her head that Kane refuses to leave because of some lingering devotion to his past love, Helen (Katy Jurado). She visits the older woman, requesting she allow her husband to go. This otherwise unnecessary plot point allows the film to use Helen to morally silence Amy with the reason her husband must stay (because he is a man who stands up for himself), enforcing the film’s dominant politics of masculinity from an apparently objective point of view. The specific language Helen uses to do this is even more interesting. To Amy’s question of why her husband won’t leave, Helen responds: “If you don’t know, I can’t explain it to you.” This is a direct echo of Kane’s response to Harvey’s question about why he cannot be made Sheriff on a whim. In this way, Amy (the “child bride”) is associated with the explicitly childish Harvey, and her pacifism denounced as a product of her immaturity rather than treated as a legitimate philosophical viewpoint. To be fair, the film does allow us a degree of moral ambiguity when Amy responds to Helen by recalling the death of her family through gun-violence, giving us a real sense of the trauma it may inflict. However, this ambiguity serves as a kind of rhetorical holding-bay. The film temporarily abstains from clearing up our moral ambivalence until it can do so with the kind of dramatic absolutism afforded by its finale, in which Amy rejects her pacifism by killing one of her husband’s attackers. Prior to the climax of this ideologically questionable character-arc, Amy urgently proceeds to the scene of the showdown where she encounters the dead body of one of her husband’s assailants. This spectacle, given to us from her perspective, viscerally recalls the horror of violence she experienced as a child and led her to pacifism. Now that she has decided to do the “right thing” and stick by her husband, the corpse occurs as a faintly sadistic test of her courage. However, in a move that is surely intended to disappoint or frustrate the viewer, she fails this test: traumatized, she locks herself in the Marshal’s office alone. The viewer counts her out; in fact, her turn-around here might even render her more treacherous than before—for she decided to help her husband only to wimp out once our expectations were up. Through this, the character is maneuvered to such a point that only a violent act can redeem her in the viewer’s eyes. Not only must her pacifist ideology be abandoned, but she must bring herself to commit real violence in order to legitimize her devotion to her husband. 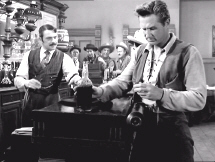 In one scene of Zinnemann’s film, Harvey overhears the bartender admit that, while he doesn’t like Kane, the man has guts. Turning to Harvey, he claims that his own decision to abandon Kane showed brains. Harvey, of course, tired of being considered but a boy, doesn’t want brains. In the world of High Noon, guts and brains are oppositional: guts are what really make the man, and the specific logic of Kane’s predicament is secondary. 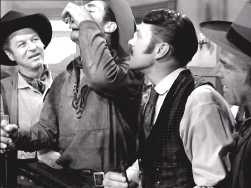 This focus on the ethos of masculinity is High Noon’s real interest, and the dilemma at the narrative’s center is geared to provide a morally approved pretext for its demonstration. When questioned as to why he will not allow himself to run, Kane responds: “I don’t know.” His need to stay is something ideologically ingrained and normalized rather than ethically argued-for or justified. Whatever High Noon’s politics, the film is more than a straightforward male fantasy; it takes us on a fascinating emotional and intellectual journey, lingering at a number of psychic places that we would probably prefer not to visit. If we are to share in Kane’s triumph, the film still asks we share in his doubt and, at times, piercing vulnerability. The narrative manages the passing of diegetic time and its significance masterfully, and there isn’t a moment that it fails to engage the viewer. 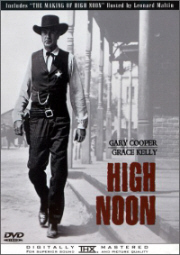 Combined with this stylistic energy, High Noon’s controversial politics and its enduring cultural impact make it essential and discussion-provoking viewing.